Social Media Management is one of the key components to your overall marketing strategy. CoSquared can ensure that your message is consistent, timely, and well received. CoSquared specializes in traditional avenues of small business marketing, as well as innovative methods that can take your business to the next level. Get their attention! CoSquared designers work diligently in creating consistent, bold, branding for your company. 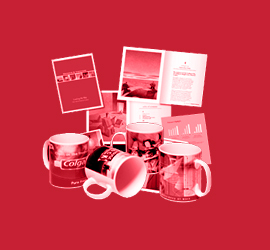 Print services provided for collateral and promotional items. CoSquared Management focuses on small business marketing. With over 20 years experience promoting small business via print and digital avenues, CoSquared brings industry insight and techniques that can enhance your bottom line. You are an expert in your field. Run your business. Let CoSquared Management handle your marketing. Founder, Coco Hibbitts, has worked in the marketing industry since the early 1990s. Working in ad design and ad placement with print publications in the early years, to specializing in destination and event promotion for the past 15 years, she has worked hand-in-hand with numerous small businesses, non-profits, and event organizers. From copy writing and photography, to marketing strategy and implementation, her work has increased brand recognition, customer traffic/attendance, and conversion rates for many local businesses. With our primary office in Florida, and our real estate and social media division in Massachusetts, CoSquared provides a knowledge of trends that affect the eastern seaboard.